A quality chrome exposed bath trap low level, for use with a 42mm outlet pipe. Sits underneath the bath waste. The perfect finishing touch for your bathroom at a real value for money price. Hi Sandra, yes, this wall mounted cupboard unit comes with one shelf. I hope this helps! Excellent service and top quality product! Good value and Great looking chrome trap used for free standing bath. Only issue is that there is no matching chrome elbow to match. Good quality. Was hoping to find matching chrome piping and elbows to match the trap but they were not stocked. 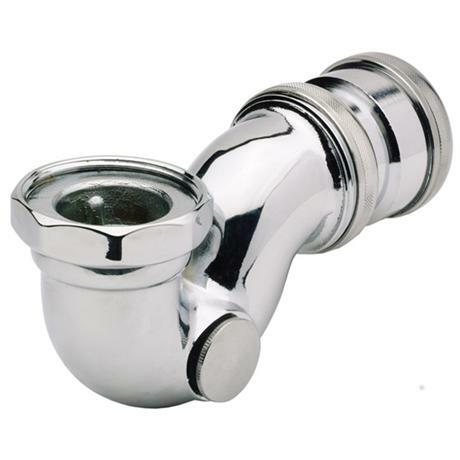 I have has to buy chrome affect pipe and elbows from another supplier that do not exactly match which is annoying. I would expect the how plumbing set on one site. Looks and seems to work perfectly. had to change bath fitting that it connects to as they needed a different kind of coupling.